Janel was born and raised in northern Chester County, and bought the house she grew up in, in 2013. She graduated from Owen J. Roberts High School and went on to earn degrees from Shippensburg University. 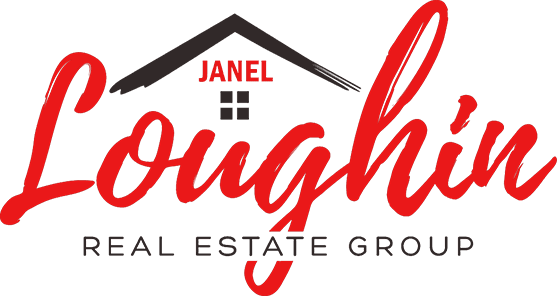 After college, Janel moved to Ocean City New Jersey where she purchased her first home, fell in love with real estate, and obtained her Real Estate License. After having her two daughters, Palmer and Portlyn, she chose to move back to her hometown and bought the home she grew up in. Tom Meaney works as both a buying agent and listing agent with the Loughin Real Estate Group. A native of Long Island, New York, Tom is now a resident of Gilbertsville. With a strong focus on creating a win/win scenarios, Tom's business is based on trust, communication & professionalism. Tom played baseball at the University of Maryland, Baltimore County and uses the discipline learned by the sport in his real estate career. He has a go-getter attitude and wants to win for his clients. In his spare time, Tom spends time with his wife, Brooke, his son, Jack, and golden retriever, Millie. Megan McCambley is a Buyer Specialist at The Loughin Real Estate Group. Growing up in and still residing in Chester County, Megan has gained extensive knowledge in regards to the housing markets of Chester, Montgomery, and Berks Counties. Megan earned a Bachelor's Degree from Shippensburg University and her Master's Degree from West Chester University. After earning her degrees, she chose to follow her passion by getting her Real Estate License. For Megan, there is nothing more satisfying than being able to help her clients buy their dream home. When Megan is not working, she enjoys working out, traveling, visiting with friends and family, and spending time with her husband and two sons, Colin and Conor. Chris has been a Chester County resident since 1996 where she raised both her children. She now spends her free time in the yard of her Glenmoore property with her 2 yellow labs. Chris comes with over 17 years of real estate experience working with both buyers and seller while specializing in land, unique and luxury properties. She focuses her business in helping everyone from first-time home buyers or sellers to seasoned investors getting what they want. Above all Chris prides herself on providing high customer service through providing value while giving each client a personalized experience. finance working with mergers, general finance and contracts I have found my 'niche' with real estate sales. In today's real estate market, there is no room for error when choosing a real estate agent. This is why having me in your corner is the right choice. I pride myself in doing just a little more than my competition. I have the knowledge and ideas that will assist you in making the right decisions whether you aim to buy, sell, or rent property.Further I understand that purchasing or selling a home is a tremendous commitment that requires my loyalty, expertise and total commitment to you as your Realtor.